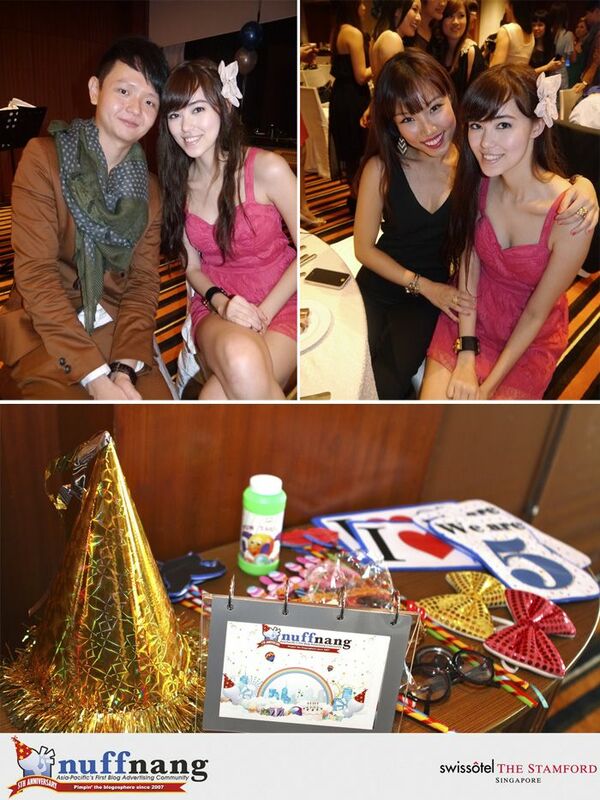 O.O I'm one of the last Nuffnang bloggers to blog about their birthday party! I think the last person is Yutaki, but he's in a category of his own since his blogposts & photos only turn up 6 to 12 months later #troll. 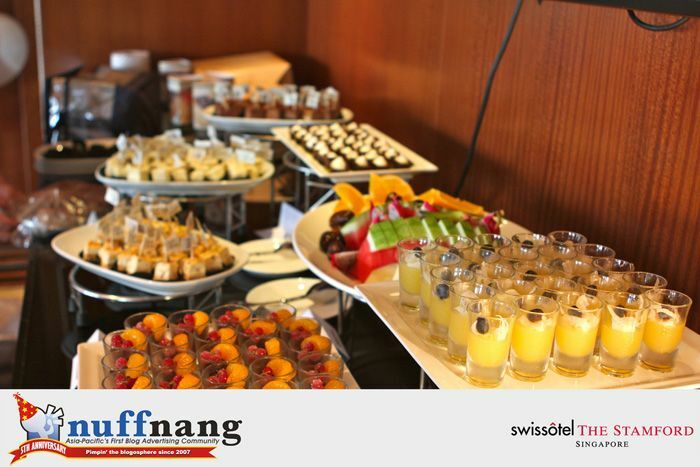 The birthday bash was held at Swissotel Stamford, in a private function room on the 69th floor! Random pictures taken above while Yutaki was trying to adjust my camera's settings! 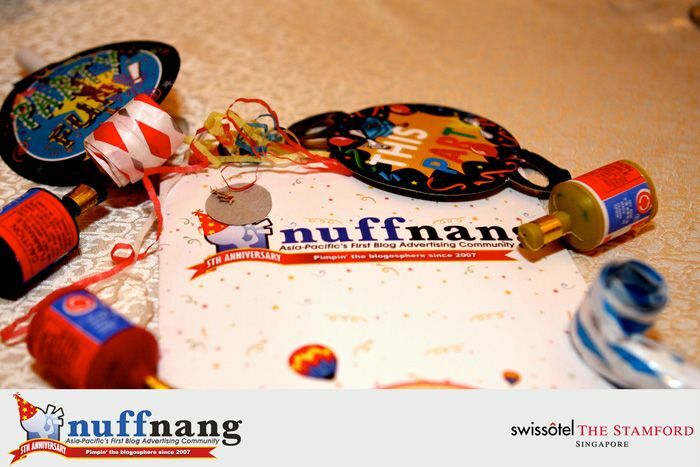 I first signed up at Nuffnang's website in January 2009! I remember blogging about it too, because my mom had just cut off my allowance then (pre-uni break) hahahaha. So yeah... best excuse then to try out the be-paid-to-blog thing! 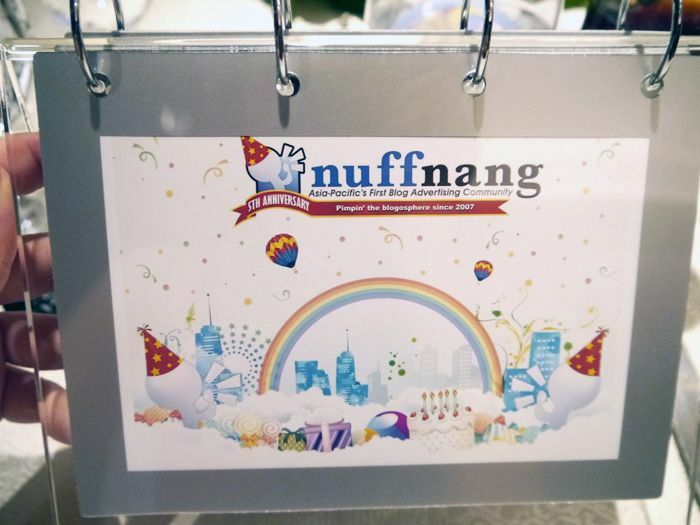 The Nuffnang staff (called Nuffies) did up this cute backdrop with accessories for us to take photos with! 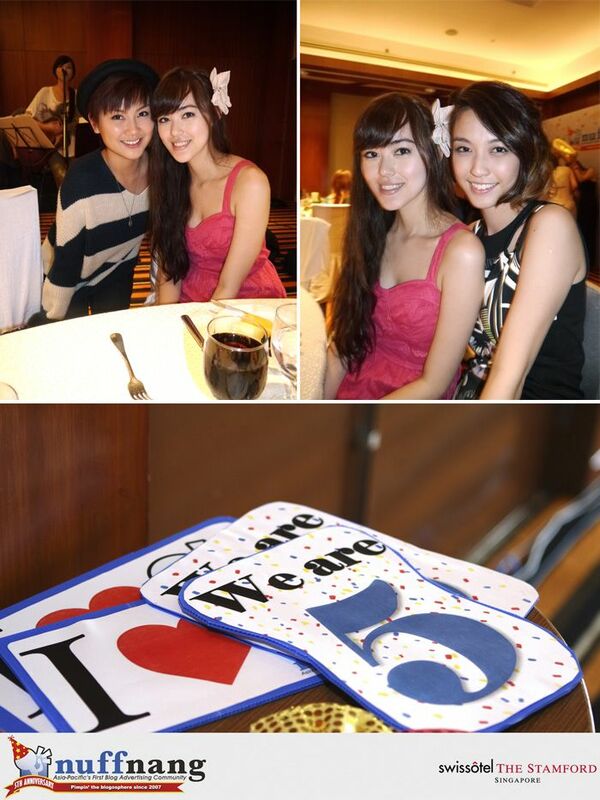 It's a really great idea for parties; you can do it for your birthday, wedding, baby shower, miscellaneous vain girls' gathering... Lots of cute photos! Chua En Lai from The Noose did stand-up comedy! He took on one of his The Noose roles, which was the Thai newscaster (or random personality, not sure lol)! One of the other challenges: Drawing a caricature of Ming! It was naturally left to Wendy because she's the best at drawing lol. Our table won because of her drawing! 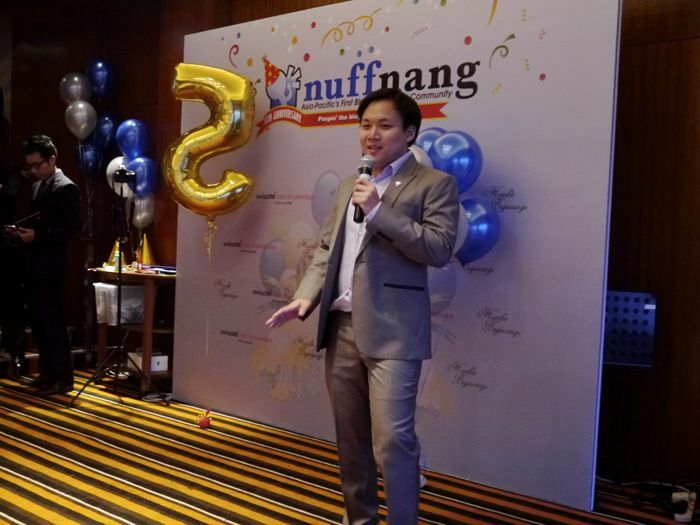 Photos taken with other Nuffnang bloggers below! Peggy, Jayne & Nuffnang cards! Brad, Beatrice & Nuffnang props! And below is Chua Enlai coming over to get poor Qiuting for the pole dance challenge! He must have picked her because she has the sacrificial lamb look. Or the pole-dancing-whore look LOLOL. HAHAHAHAHA THIS PHOTO OF QIUTING IS DAMN FUNNY! I love the cake! So cute! 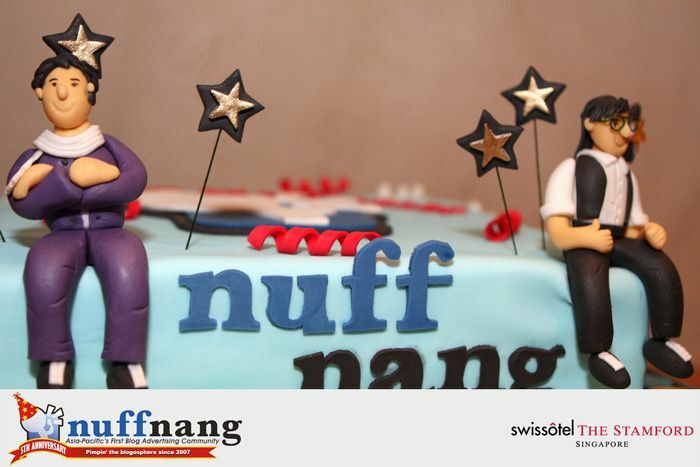 Hehe that's Ming & Tim, the two co-founders on each side of the cake! 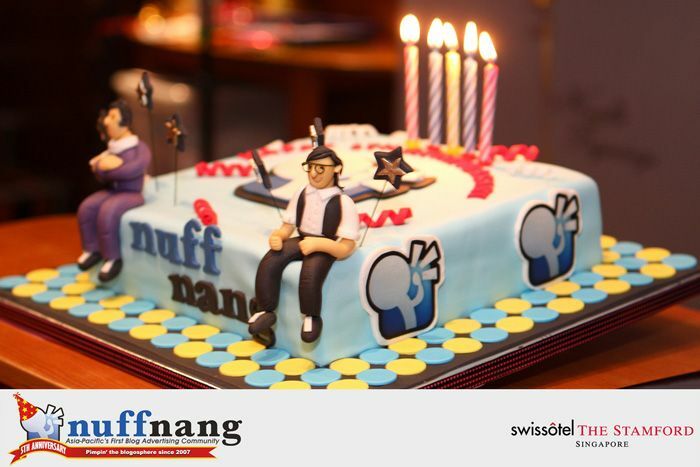 I don't know whether the Nuffnang birthday cakes in the other countries (Nuffnang has offices across Asia - Thailand, China... etc & also Australia) have to feature the two of them as well haha. 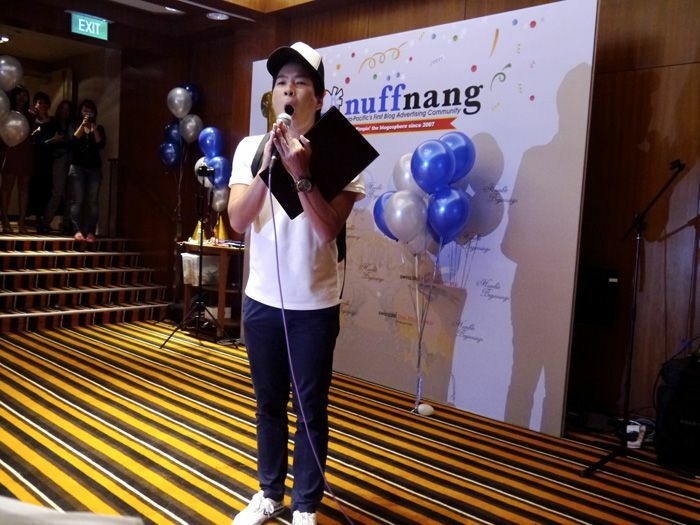 Ming cutting the cake surrounded by the Nuffies! 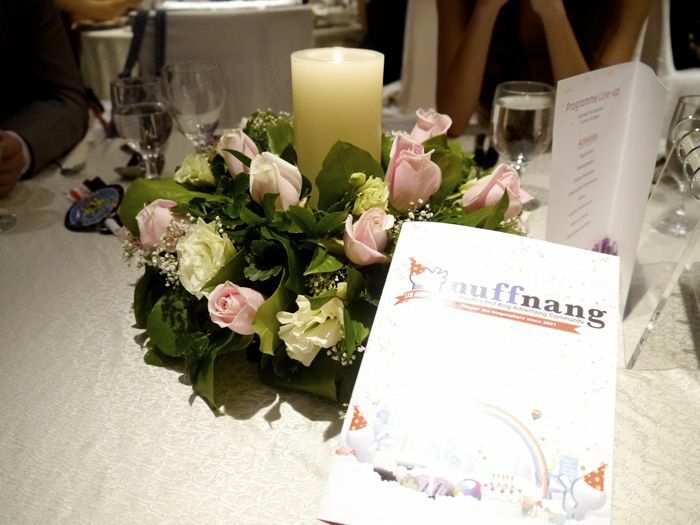 Spot Valerie, Wendy, Qiuting, Ming, Nat Ho, Brad, Beatrice, Jayne & Vernon! And... here's a totally irrelevant picture of my bracelet & bag for the night. Wahahaha I even had time to do this! And screenshot it & blog it here! 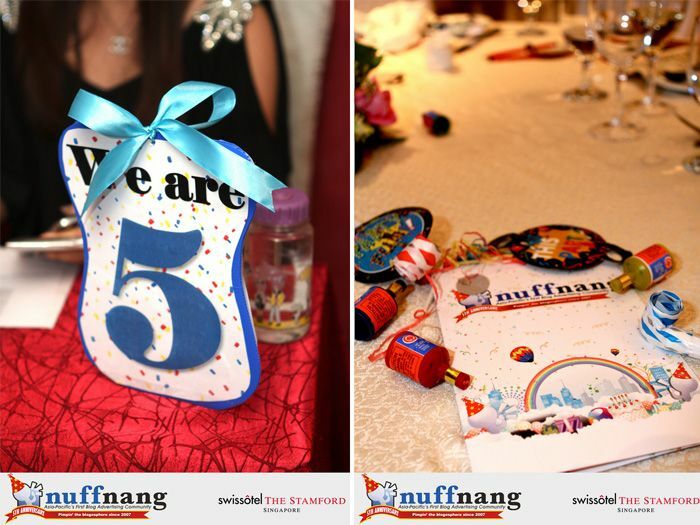 6 comments on "Nuffnang is 5!" the nuffnang community seems so fun to be a part of *jelly* i live in canada :(. Harroow:D I came across someone who pretends to be you on fb.just thought that you might wanna know and report her:) here's the link, she call herself veronica chiu hahah wtf. I laughed like mad too when I saw ur tweet of a picture of QiuQiu laughing! hahahha! EPIC!